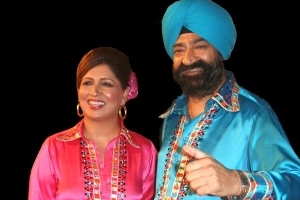 Jaspal Singh Bhatti (1955 – 2012), the Punjabi satirist with his unique brand of humor, entertained us for nearly three decades. Through vehicles such as his brainchild, The Nonsense Club (started in 1982), he challenged our wisdom about deep-rooted social practices. Tragically, on October 25, 2012, one day before the release of his son’s debut film ‘Power Cut‘, he was killed in an automobile accident. The eternally optimistic director, producer, actor and social activist left behind a legacy of satire that has spawned hundreds of imitators, but none quite like the master himself. Here are some excerpts from a conversation I had recently with his widow, Savita Bhatti. 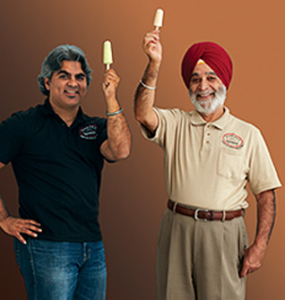 Q: How did first you meet Jaspal? A: It was in the 1980’s when I first got to know of him. At that time, he used to work in the Punjab State Electricity Board and I had seen him on TV. He had created a 3-minute segment called ‘Rang Vich Bhang’ which appeared alongside ‘Chitrahaar‘, the most popular TV series at that time. The show was a satire on social issues that plagued India, such as dowry demands, bride burning, etc. Holding a mirror to the society, it soon gathered a cult following. Around this time, an acquaintance suggested his name in an arranged marriage proposal and, not long thereafter, we were married. Q: What were the early years like, together? A: Our home was always full of people who would show up for rehearsing plays. Jaspal had special permission to stage plays and shoot for his TV segments, as he was a performing artist. He was starting to get famous and recognized on the streets. A: There’s no doubt about that. His vision was so amazing and all pervasive. Till today, he is India’s only professional humorist who also drew cartoons and wrote articles for almost all leading newspapers, ventured into TV and films, opened a comedy school, “Mad Arts” and founded the humor club, “The Nonsense Club”, and so on. He has no rivals. He would start his day early with a little prayer, a long walk. While on his morning walks, he would record a new set of jokes and work on his delivery. He wrote every day. The first half of his day was dedicated to writing. After that he used to take a quick trip to the film school and interact with the students. In the evening, a bonding time with the family or his friends. And even as he retired for the day, a quick glance at a page of the book on his bedside. Q: What made Jaspal unique? A: Jaspal was a quiet person, a thinker and a philosopher. The only people amongst whom he talked and laughed freely were his friends, especially from his engineering days. Actually most people who create humor are very serious people. 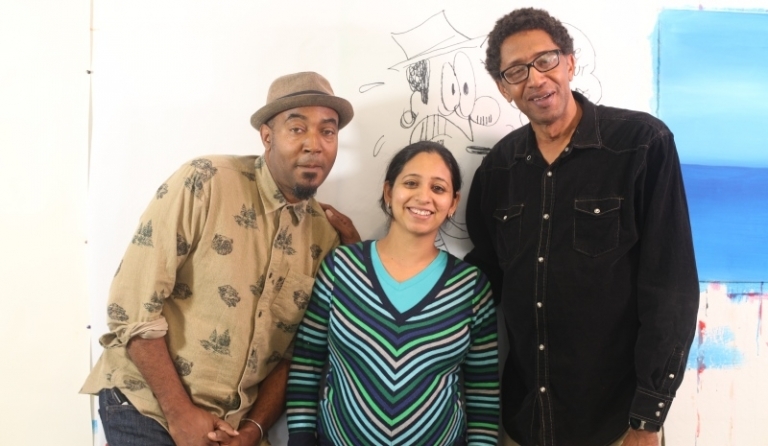 Jaspal created humor from things that trouble the world. Instead of getting frustrated and ranting, he created humor out of it and made millions laugh. He was a very keen observer and sometimes out of nowhere he would mouth a one-liner. It just made you wonder about the depth of his thought process. But what set Jaspal apart from others was that he had a sense of social obligation. He had the courage and conviction to take on any issue that bothered him. He made a common man’s pain his own. That’s why he’s called the common man’s superstar. Very few celebrities can walk the roads today in the blistering sun for an issue they feel so strongly about. He was a crusader, a revolutionary, but in an insanely funny way. He could make an 8-year old kid, a 35-year old and a 65- year old grandmother laugh the same way at his jokes. ‘Reader’s Digest’ ranked him at #43 in their list of ‘100 Indians India Admires’. Q: How did Jaspal handle the trappings of celebrity-hood? A: Jaspal was a well-grounded person. Very comfortable in his skin. That’s why he was so resplendent in his colorful turbans. Being a Sikh was natural to him. He didn’t feel the need to get into any trappings of glamour to prove a point. He would walk around in Sector 17 and just walk into any store. He chose to be what he normally would be at home rather than pretend to be someone else. That is why the world loved him, and continues to do today. And what endeared me most to this man is that in his generosity he shaped and modelled so many lives and careers — Vivek Shauq, BN Sharma, Sunil Grover and myself, amongst many others. He could do this because he cheered and appreciated talent in others. Q: You mentioned he was a proud Sikh. How did that inspire him? A: Jaspal’s day started reading from the Sikh scripture and it is his understanding of Gurbani that made him a humble and compassionate person. The first 10 years of his life, he lived with his grandmother in Ambala. She was an ardent Sikh. That upbringing influenced him immensely. Jaspal always gace away his dasvandh for worthy causes. For example, a part of whatever money we earned would go to the local gurudwara dispensary. Q: What surprised you most about him in the 28 years that you spent together? He was observant and constantly thinking and reinventing himself. That never failed to surprise me. Also, he was not afraid of anything or anybody. I remember once he when ‘The Nonsense Club’ staged an event right in front of the Indian Parliament, with the tongue-in-cheek message that Parliament should not waste its time on small corruption scandals. Anything below Rs. 2 billion ($40 million) should not be considered a scam at all in India! He spared no political party. He was unbiased. He had no scores to settle. His job was just to tell the truth, even if it meant standing alone. Another thing about him was that he was very unpredictable. Even after so many years of being together, I could never predict his actions. He used to always do some new things on every family trip. All his moves were loaded with surprises. And true to this, he went away so suddenly. How I pray that God could undo this one surprise! Q: How did Jaspal identify talent in those around him? 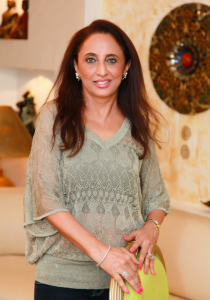 A: Jaspal was very intuitive and always gave due respect to talent. He gave people an equal platform and let them perform. Vivek Shauq, Guthi and quite a few others started their careers with Jaspal. In fact he helped me as well in developing as a performer. He was very secure and clear in his vision … I believe that if one has such a vision, everything else just falls into place. Q: How are you keeping his memory alive? A: March 3 is Jaspal’s birthday. I would like to establish that day as a ‘Comedy and Laughter Day’ so that every year people come to Chandigarh, Punjab, and celebrate this man and the joy he brought us. I would love to call all kinds of people for this festival – national TV stars, international comedians and also the ‘bhands’, local performers from our villages who do a great job of making people laugh. I would like to make this day special and create a unique event in his memory.